Using South Africa as our departure point, section 31 of the Income Tax Act, 1962 (the Act) provides that the tax payable in respect of international transactions is to be based on the arm’s length principle. the tax payable by the benefitting party must be calculated as if the transaction had been concluded between independent parties transacting at arm’s length. An ‘affected transaction’ is defined in section 31 as an inter-jurisdictional transaction between a South African resident and a foreigner; a foreigner and another foreigner with a permanent establishment (PE) in South Africa to which such transaction relates; a resident and another resident with a PE outside South Africa to which such transaction relates; or a foreigner and any other person that is a controlled foreign company (CFC) in relation to any resident; and the transacting parties are connected persons vis-à-vis one another. on the last day of the period of six months following the end of the year of assessment in which the adjustment is made. Certain transitional provisions are found in section 31 that deal with adjustments made prior to 1 January 2015, which were deemed to be loans, in the event that such loans had not been repaid by 1 January 2015. Section 31 also extends the arm’s length principle to any transaction in respect of the granting of financial assistance or intellectual property. For purposes of determining whether the parties to such transactions are connected persons, section 31 expands the connected person definition in section 1 of the Act in relation to companies (i.e. a connected person in relation to a company is any other company if at least 20% of the equity shares or voting rights in the company are held by that other company). So what do we understand by the arm’s length principle? Most South African taxpayers transacting internationally are aware that when they enter inter-jurisdictional transactions with foreign connected parties such transactions should be concluded on terms and at prices that are arm’s length. Transacting at arm’s length is generally understood to refer to the terms, in particular with regard to pricing, negotiated between independent parties transacting on the open market. For transfer pricing (TP) purposes, the arm’s length principle provides that the amount charged by one related party to another for a given product must be the same as if the parties were not related. An arm’s length price for a transaction is therefore what the price of that transaction would be on the open market between a willing buyer and a willing seller. It is worth mentioning that even when independent parties negotiate the terms of an arm’s length transaction, there may be concessions as between the parties; concessions which may, in isolation, not meet the arm’s length test, but nevertheless form part of a transaction concluded between a willing buyer and a willing seller on the open market. That noted, what is the OECD’s stance on the arm’s length principle? Article 9 of the OECD Model Tax Convention (MTC) authorises profit adjustments according to principles of domestic law where an enterprise of one contracting state (e.g. 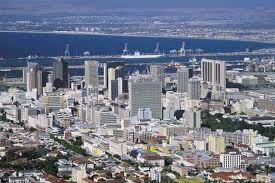 South Africa) and an enterprise of the other contracting state (e.g. France), being states contracting for the avoidance of double taxation as between their respective jurisdictions by means of a double taxation agreement (DTA) modelled on the OECD MTC; are connected persons and the conditions made or imposed between such associated enterprises in their commercial or financial relations differ from those which would be made between independent enterprises, and one of the two enterprises would, but for those conditions, have made higher profits. Any profits which would, but for those conditions, have accrued to one of the enterprises, but, by reason of those conditions, have not so accrued, may be included in the profits of that enterprise and taxed accordingly. Thus where South Africa includes, in the profits of a South African enterprise and taxes accordingly, profits on which a French enterprise has been charged to tax in France and the profits so included are profits which would have accrued to the South African enterprise if the conditions made between the two enterprises had been akin to those made between independent enterprises, then France shall make an appropriate adjustment to the amount of the tax charged therein on those profits where France considers the adjustment justified. In determining such adjustment, due regard must be had to the other provisions of the South Africa/France DTA and the competent authorities of South Africa and France must consult each other as required. It is clear that these provisions are aimed at targeting base erosion and profit sharing (BEPS) by preventing the systematic deviation of profits as between group enterprises from high to low tax jurisdictions. Returning to the OECD MTC, the primary adjustment (i.e. the inclusion and subjection to tax in South Africa of profits which would have accrued to the South African enterprise if the conditions made between the two enterprises had mirrored those made between independent enterprises) provided for in Article 9 of the South Africa/France DTA must comply with the arm’s length principle which precludes South Africa and France from using other allocation norms. So, what is the arm’s length standard for purposes of the OECD MTC? Although the standard deals with the allocation of profits as opposed to the pricing of individual transactions, Article 9(1) of the OECD MTC is considered to be the authoritative statement of the arm’s length principle and the legal basis for comparability analysis – being the analysis and comparison of independent enterprises engaged in the same or similar activities, under the same or similar conditions as those which characterise the transaction under scrutiny between associated enterprises, taking into account the functions performed, assets employed and risks assumed; in order to determine whether the rewriting of accounts is authorised under Article 9(1); and the determination of profits that would have accrued at arm’s length in order to calculate the quantum of any rewriting of accounts. Under the Transfer Pricing Guidelines for Multinational Enterprises and Tax Administrations (approved by the OECD Council in 1995 and subsequently amended) (OECD TPG), the arm’s length standard must be valued from the perspective of both parties. The arm’s length determination is accordingly the outcome that would have been achieved through a transaction between two independent enterprises, both transacting with the objective of maximising their profits. Turning to the OECD BEPS Action Plan on TP, we find what can only be described as the arm’s length standard on steroids. In applying the new arm’s length standard, the legal contract evidencing the transaction is merely the analytical departure point. Applying the new analysis using intellectual property (IP) as our case study; all functions are to be analysed e.g. fundamental research, specific applied research, design and conception of invention, procedure for application of the patent, organisation of the production, actual manufacturing of the product, marketing, sales, distribution, maintenance and enhancement of the patent, financing of all or some of the stages, and then some. The outcome of the analysis of all the functions, including where they take place, by whom they are controlled, who bears the capital risk, and the determination of how functionaries are remunerated and the like; ultimately determines which entities will be taxed and the quantum on which they will be taxed. This outcome may or may not align with the incidence of tax as agreed to between the transacting parties under the legal contract negotiated between them. According to the OECD BEPS Project leaders, the objective of the new arm’s length test is to align taxation with effective value creation and to reconnect profits with business activities through risk and function analysis, thereby substantively linking revenue and expenditure with risks and functions, regardless of the legal contractual allocation of expenditure and profits as negotiated between the transacting parties. Is this genuinely a buff new ‘economic’ arm’s length standard, or something else? To reiterate, an arm’s length price is the price negotiated for a transaction on the open market between a willing buyer and a willing seller; both transacting with the objective of maximising their profits. Some critics have suggested that the new arm’s length standard proposed by the OECD is in fact ‘formulary apportionment’; an attempt by the OECD to establish an incontrovertible inter-jurisdictional line, which will ensure that the tax administration of each jurisdiction receives its fair share of tax revenue from any transaction concluded across both. And while the only way to determine what is fair is by recourse to the contractual terms regulating the transaction, this new test seems to be moving towards institutional relationship evaluation instead.